Please someone tell me of an invention that is more than just the idea? So—the invention is a complete working system. How can it be more than this? >>Plaintiff also argues that the Patent Office’s continued issuance of substantially identical patents supports its position. (D.I. 30 at 10-11). This argument is similarly unpersuasive. Patent examiners are non-lawyers. An examiner’s opinion on the legal question of patent eligibility does not relieve a patent attorney from her obligation to make an independent assessment based on an evaluation of the relevant law. Unless there is some new case law that is relevant (which was not cited by the Court), then this is legally incorrect. The statute says the opposite that the lawyer can rely on the issuance of the patent to rely on its validity. Below, I cited the actual section of law, to which Malcolm attempted to denigrate as he celebrates the LACK of Rule of Law in this decision (and wants more, because this is anti-patent). It is just crazy. Had the judge cited case law between the issuance of the patent and the filing of the infringement action, then there would be an argument. But without citing a case the judge is legally incorrect. Plus, the patent issued fairly recently and definitely after Alice. Except — apparently — those too eager to celebrate a Desired Ends that was reached. The Means being a flagrant breach of the Rule of Law? Meh, these types just don’t care as long as they have the End align with what they want. Marty? Well one can see his absolute lack of legal understanding, but Malcolm professes to be an attorney. Too funny. Someone should inform the PTO. Judge Andrews speaking truth. The PTOs continued issuance of ineligible j u n k is the reason that 101 is increasingly important in the courts. The fact that the PTO is presently being managed by a fraud T r um pist only makes the problem worse. I assume nobody em who reads this blog is surprised by this. There is no swinging back of the pendulum. And there never will be. There is also no contradictions in the Common Law law writing on 101 from the courts (that is, if you ignore half of the court cases). Kind of analogous to no swinging of a pendulum, if you discount half of the swings. Presently before me are Defendant Payoneer Inc.’s Motion for Exceptional Case and Defendant Stitch Labs, Inc.’s Motion for Attorneys’ Fees Pursuant to 35 U.S.C. § 285. (C.A. 18-444, D.I. 25; C.A. 18-445, D.I. 21). The Parties have fully briefed the issue. (C.A. 18-444, D.I. 26, 30, 32; C.A. 18-445, D.I. 22, 29, 32). For the reasons set out below, Defendants’ Motions are GRANTED. Plaintiff filed Complaints against Defendants on March 23, 2018, alleging infringement of U.S. Patent No. 9,569,755 (‘755 Patent). (C.A. 18-444, D.I. 1; C.A. 18-445, D.I. 1). On May 16, 2018, Defendants filed Motions to Dismiss for Failure to State a Claim based on patent ineligibility of the ‘755 Patent under 35 U.S.C. § 101. (C.A. 18-444, D.I. 7, 8; C.A. 18-445, D.I. 9, 10). I heard argument on October 24, 2018 and granted the motions on November 26, 2018. (D.I. 22 ). Specifically, I found that the ‘755 Patent was directed to the patent ineligible abstract idea of bookkeeping and did not contain an inventive concept. (Id. at 7). Unless otherwise noted, all references to docket items refer to the docket in C.A. 18-444. The Patent Act provides that “in exceptional cases [the court] may award reasonable attorney fees to the prevailing party.” 35 U.S.C. § 285. Under the statute there are two basic requirements: (1) that the case is “exceptional” and (2) that the party seeking fees is a “prevailing party.” The Supreme Court defines an “exceptional” case as “simply one that stands out from others with respect to the substantive strength of a party’s litigating position (considering both the governing law and the facts of the case) or the unreasonable manner in which the case was litigated.” Octane Fitness, LLC v. ICON Health & Fitness, Inc., 134 S. Ct. 1749, 1756 (2014). It is undisputed that Defendants are prevailing parties. Thus, the only issue is whether the cases are exceptional. There is no question that the ‘755 Patent is patent ineligible under the Federal Circuit’s current precedent. In fact, the Patent is reminiscent of patents which courts were invalidating in the immediate wake of Alice, five years ago. Since Alice, the law of patent eligibility has perhaps become unpredictable and unclear on the fringes. But one thing has remained true: patents which look like Alice are ineligible. I have rarely been more confident in the patent ineligibility of a set of claims or more confident in the unreasonableness of a Plaintiff’s decision to sue on a patent. Thus, this case fits the bill of “one that stands out from others” with regard to the substantive weakness of Plaintiff’s litigation position. I have resolved scores of Section 101 motions and seen a wide array of validity arguments. Usually the quality of an argument falls somewhere between good and mediocre. Infrequently, I have encountered arguments which I would classify as bad. Plaintiff’s defense of the validity of the ‘755 Patent was not just mediocre or bad; it was ugly. Plaintiff cites Stone Basket Innovations, LLC v. Cook Med. LLC, 892 F.3d 1175, 1180 (Fed. Cir. 2018), for the proposition that a patentholder is entitled to a presumption of good faith in filing an infringement lawsuit. This is not, however, inconsistent with my position. When deciding whether to award attorneys’ fees, “district courts [can] consider a nonexclusive list of factors, including frivolousness, motivation, objective unreasonableness (both in the factual and legal components of the case) and the need in particular circumstances to advance considerations of compensation and deterrence.” Octane Fitness, LLC, 572 U.S. at 554 n.6 (cleaned up). The presumption of good faith mentioned in Stone does not bear on the considerations which compel my decision in this case: objective unreasonableness and deterrence. Plaintiff also argues that the Patent Office’s continued issuance of substantially identical patents supports its position. (D.I. 30 at 10-11). This argument is similarly unpersuasive. Patent examiners are non-lawyers. An examiner’s opinion on the legal question of patent eligibility does not relieve a patent attorney from her obligation to make an independent assessment based on an evaluation of the relevant law. Plaintiff further argues that the law is unclear and that it made reasonable arguments in response to Defendants’ motions. (D.I. 30 at 11-15). I disagree. As I discussed in my Memorandum Opinion, the claims of the ‘755 Patent are “plainly directed at a patent ineligible concept” and “amount to no more than the underlying idea.” (D.I. 22 at 5). This was not a “borderline case” with an unpredictable result. Any reasonable patent attorney with an understanding of Section 101 law could have predicted the outcome. Finally, Plaintiff argues that awarding fees will have a “chilling effect” on patents. (D.I. 30 at 19-20). It states, “If attorneys’ fees are awarded under the facts in this case, then there is no situation in which a patent owner could safely assert infringement of a recently issued patent without fear of being subject to attorneys’ fees if the patent is held ineligible for patenting.” This statement is overblown. More accurately put, awarding fees will have a chilling effect on asserting a patent without first assessing the patent’s weaknesses considering current caselaw. I do not view this result as a negative. Rather, it is a result that benefits the public generally by decreasing instances of transparently meritless patent litigation—one of the many goals of the attorneys’ fees provision. Plaintiff should not have filed suit asserting the clearly patent ineligible claims of the ‘755 Patent. Its decision was unreasonable under the law and its behavior should be deterred. Thus, I will grant Defendant Payoneer Inc.’s Motion for Exceptional Case (D.I. 25) and Defendant Stitch Labs, Inc.’s Motion for Attorneys’ Fees Pursuant to 35 U.S.C. § 285 (C.A. 18-445, D.I. 21). What Bildo fails to appreciate here is that it is “attorneys” like him who end up costing their naive clients a lot of money, as this case proves. Bildo is, ultimately, a pitiful hack and a walking malpractice case. That’s not how it works, Bildo. Nice try, though. I’m sure some hack said the same thing about Jame’s Diehr’s invention circa 1982. You can’t even formulate coherent arguments. So sayeth Bud Mathis, the least coherent attorney on the planet and one of the worst patent attorneys who ever lived. Take the client’s money and run to the bank, Bud! You’re a very serious person and, as far as you know, you did not get your a$$ totally handed to you in this comment thread, thereby making f 0 0ls out of both yourself and your miserable client. Whatever. You are still incapable of setting forth a coherent argument. Please do explain how 35 USC 282(a) works, Malcolm. Odds are zero that Malcolm will provide a cogent, let alone compelling, reply here. I’ll do better than that. I’ll explain how our legal system works, Bildo. The PTO grants patents. Those patents are “valid” (i.e., enforceable in court) until they are proven invalid in a court or they are invalidated in an IPR. Regardless of the standard of proof required to achieve invalidation in those venues, however, skilled attorneys who aren’t in the business of committing malpractice or filing frivolous lawsuits are capable of recognizing a clearly ineligible or invalid patent claim when they see one. This is true regardless of whether the PTO has “granted the patent” or not. For example, if the PTO grants a patent claim to “A method of thinking that Bildo the Commenter on PatentlyO is a pile of toxic waste”, I am going to keep calling you a pile of toxic waste regardless, without fear. That’s because the claim is clearly ineligible and if you try to assert it against me, you will likely find yourself paying me, rather the other way around. Now go back to your endless w @ nking, Bildo. Bud needs a back rub from you and you’re just the li’l puppy who can administer it with the greatest sincerity. You do realize what 35 USC 282(a) means right? You STILL have not explained that part. Those patents are “valid” (i.e., enforceable in court) until they are proven invalid in a court or they are invalidated in an IPR. The point being that the legal/technical status of “validity” conferred by a PTO grant is just that, and only that. Claims can be certainly be “clearly ineligible” without being invalidated or “found” to be so by a court of law. If you can’t understand this, then you’re a walking malpractice case or a con artist. Or both. You walked back to the position that I had plainly stated in the very beginning and then want to call me dissembling…. That’s a special kind of Accuse Others right there. You seem to have said this twice now without appreciating what it means. Maybe instead of getting upset with me (for being right), you might spend your energy understanding what it is that you agreed with me about. Thanks for sharing, Martin. That’s beautiful and hopefully we’ll see a lot more of that. I almost feel bad for these naïve people. Nah, I take that back. I don’t feel bad at all. These greedy tr 0lls deserve way worse than what they got. Probably a closer investigation of their operations would end up in prison sentences. Let’s cross our fingers and hope that their next grift fails but causes less damage and uses less public resources. Yes there is nothing like an opinion from a judge that says I know I don’t like this and not only that I am not going to follow the law and make you pay expenses. transmitting, by the network device, the copied transaction data and the additional transaction data to the personal financial management program. BYM — just finished reading your writ / brief. Wow — a masterpiece indeed. Couldn’t be more on point — repeatedly. If your appeal isn’t accepted by SCOTUS, I don’t what would be. Best wishes to you and your clients. And Congress — where are you while this un-American, un-Constitutional 101-property- stealing is going on? Saving this for posterity. Beyond parody. Parody is claiming that you’re a patent attorney. You’re not. You’re an angry shut-in trying to impress and infuriate people by constantly taking anti-patent positions. As I mention in the Petition, as screwed up as the s101 rejection is it is the gold standard for s101 rejections at the USPTO. Further, the CAFC has grown so irresponsible and bizarre that it no longer has credibility. The “we’re constrained by Alice/Mayo” whining doen’t fly b/c they’ve tortured case law and statutory language to reflect their anti-patent sentiments. In a petition for rehearing I demanded that the Federal Circuit follow their own law and the APA. That was a waste of time. Then again the SCOTUS can do what it does best: ignore the problem it created. It’s great — and impressive indeed — to see someone work so very hard for their clients. You’re very kind, pro say. I drew heavily from Judge Giles Rich, and had an amazing corpus of nonsense to criticize. The Constitutional and policy consideration underlying eligibility is to prevent restrictions on the public’s freedom to use basic/fundamental building blocks of knowledge in any context. Those fundamental building blocks include logic and information. Some patentees have attempted to argue that their claims are so narrowly limited to a particular prior art context such that (so the argument goes) “there is no pre-emption problem.” But that misses the entire point and the CAFC has at least several times made this crystal clear: once it’s established that an abstraction is being protected in any prior art context (whether that context is anticipated or obvious), then you have an illegal pre-emption. Period. Do not pass go. Note again that the concern is not about the “pre-emption” that is brought about by a particular ineligible claim. The concern is that if the doors are open to the patenting of logic and information in “this context” or “that context”, the gates will be stormed and “stakeholders” in a myriad different contexts will attempt to claim logic and information in all those contexts, separately. That is the problem and the proper application (sweeping and non-judgmental with regards to context) of 101, per Mayo and Alice, is the solution. Calculating a value and giving the value a name isn’t “inventing”. It’s math. It doesn’t matter how important the value is, and it doesn’t matter how clever the name is. “Pre-calculating” a value is also not inventing. Displaying pre-calculated values changes nothing, and that’s true regardless of whether those values are displayed over a bird’s eye picture of some house, or my cousin’s picture of her kitty cats. Maybe Bud will be along to tell everyone why calling a number “real estate information” changes everything about calculating a number. Do numbers become more difficult to multiply or add when they are “associated” with a piece of property? That’s not how my calculator works. Maybe Bud is some kind of super computer expert and he can explain what happens to data when the computer discovers that the data “relates to” real estate data. Or to bingo games. This is very serious highly technical stuff, after all and I’m sure there’s a very serious and highly technical answer forthcoming. Sure there is. appraisals/assessments are not AVMs and are not fungible. In fact, those two numbers are perfectly “fungible” in the only context that matters: pre-calculating them and displaying them over a map. And it’s this kind of silly low-level rhetorical game playing that has turned the patent system into a cessp 0 0l where people like Bud thrive. Expunge the source and end the tr 0lling. Joachim: Twitter, Inc. suspended me, and I am suing Twitter, Inc. for multiple reasons. Heckuva blog, D. You know what’s missing? More glibertarian white supremacist types drunk on Faux News fumes. Golly, I miss Ned Heller with his super deep insights. Thanks for the heads up about the Smith PTAB decision that you mention on the other blog. Perhaps this is oversimplified, but there is not a contradiction between saying something is novel and non-obvious and still patent ineligible. E=MC2 was novel and non-obvious when Albert Einstein announced it, but it was not patent eligible. The novelty and non-obviousness inhered in the abstract idea, but there was no practical application to the real world. anon has it right in this string of comments. The reason ineligibility and non-obvious are a contradiction–in this case–is that the ineligibility is based on a judicial exception of abstraction that requires the claims to be notoriously well-known, which they cannot be if they are nonobvious. The arguments that are somehow trying to say that this is for a class of problems are specious. All of patent law is about particularity. One cannot say that information processing is notorious well known and have it encompass all of information processing that is a subject matter exclusion not an exclusion based on being abstract. For the reasons that Anon & Night Writer have explained, I argue that SCOTUS along with the CAFC have introduced a fourth judicial exception, which is praxis (well-understood, conventional, routine activity [or element]), and have not bothered to tell anyone. The new eligibility guidance almost acknowledges the 4th judicial exception. It tells us that abstract ideas are primarily mathematical ideas. (I would have written that the only abstract ideas are purely mathematical.) Then the guidances goes on to discuss judicial decisions that incorrectly call praxis an abstract idea. Because praxis is almost the opposite of abstract idea, § 101-eligibility doctrine remains hopelessly confused and confusing. I discuss praxis in my response to the RFC on eligibility. The section explicitly discussing praxis qua 4th judicial exception starts on page 12, but I have to recommend reading the previous 11 pages. You give too much credit to the Court in your (continued) attempts to make sense of the Gordian Knot that they have created. It is my tendency to try to create rationality out of chaos. It another forum (Dorchester Municipal Court Division of the Trial Court of Massachusetts) I am trying to make sense of 47 U.S. Code § 230 (Protection for private blocking and screening of offensive material), Telecommunications Common Carriage, Recent FCC rulings on SMS & MMS, Massachusetts Common Carriage Law, Massachusetts Libel Law, and the Massachusetts Civil Rights Act. Twitter, Inc. suspended me, and I am suing Twitter, Inc. for multiple reasons. We are in the preliminary motion phase. If anyone is interested to take a peak, he can click the URL below. At one time I was supposed to be an expert in the technologies to which Title 47 applied. There seems to be a race between Title 47 and Title 35 law to see which area of law can reach maximum entropy first. Good question. At least at the EPO, the distinction is understood. Everywhere, one readily distinguishes between what is”novel”and what enjoys patentable novelty. Likewise, one can distinguish (if one is so minded) between what is not obvious and what is patentably not obvious. I mean, loads of stuff is not obvious without being patentably not obvious. Consider an Agatha Christie novel. It is (one hopes) not “obvious” who is the perp. But that does not mean that Agatha Christie has made a patentable invention. At the EPO, the obviousness enquiry is confined to that which is or is not obvious within the purview of the useful arts. What is or is nor commercially or artistically obvious is irrelevant. The only thing that counts is what is or is not technologically obvious. Some say that the EPO approach is “oversimplified”. Not me though. I say it is simple, as simple as possible, but definitely not over-simple. Yet again, MaxDrei, you attempt to equate Technical Arts and Useful Arts. Please stop trying to dissemble on that point. But the legal underpinning of this case relies on faulty assertion(s) that the method is “well-know, ordinary…blah”. There was nothing well-known about E=MC2. It’s contradictory to assert that a claim is novel but at the same time well-known. Figure out other grounds for ineligibility, but these two things can’t coexist. The law of non-contradiction applies to the everything, including the law. It’s contradictory to assert that a claim is novel but at the same time well-known. Figure out other grounds for ineligibility, but these two things can’t coexist. The law of non-contradiction applies to the everything, including the law. No, it’s not contradictory, because you’re not measuring the same thing. Novelty refers to the entire sum of the claim, or (when it is used as a stand in for “point of novelty”) a particular element that is new. Well-known is directed to a subset of the claim – the part of the claim that is not the ineligible subject matter. It’s entirely possible for a claim to be novel and yet to have only well-known subject matter under Alice Step Two. In fact, one can point to a categorical time – the time when the ineligible subject matter is the thing which imparts novelty to the claim. Conventionality also is not shown with merely using art that shows lack of novelty (or for 103, art that shows obviousness). You are clearly incorrect in your views here. It certainly was limited to a subset in Mayo. The admittedly routine and conventional data gathering step in Prometheus claims is the only reason the language is used by courts. Thanks, Malcolm, we already knew that. The results of special relativity follow from applying the Lorentzian transformations instead of Galilean transformations in describing the parameters of one inertial frame in relation to those parameters in another inertial frame. Once Mach (and others) began asking what time really means, one could argue the result was mathematically obvious even though Einstein was the first to drive the redefinition of time (and the experimental result that the speed of light in a vacuum is invariant in all inertial frames) to the logical conclusion. Mathematically obvious probably means something different from obvious in the sense of patent law. Why should a process for determining the energy equivalent of an object be ineligible? multiplying the determined mass by 8.98755179 meters squared per second squared to arrive at a product, the product being the energy equivalent of the object expressed in Joules. Why don’t we want to promote this sort of discovery? Discoveries are eligible, by the way. Its a process isn’t it? No one knew how to do it or even that mass and energy WERE equivalent prior to the discovery. So, even if Al refused to license the method after patenting for 20 years, the world would have been no worse off than if he hadn’t discovered it. If your arguments is that someone else may have discovered it 3 weeks later, my response is, well, if it were recognized as patentable, it may have been discovered 3 years earlier. The formula might not be eligible, but processes based on it are. This is the thread that comes to mind about what you are saying Les. Essentially the argument is that “discovery” in the modern vernacular is not what it was at the time of the drafting of the Constitution. Over 300 comments so lots of ideas on that topic. Essentially Congress acted on this in the Act of 1952 (you know, in the section that you do not want to understand the terrain, and yet want to merely declare ‘tautology’: 35 USC 100). As to the many posts there – many of those items put on the table for discussion by yours truly were simply not being treated with inte11ectual honesty and many posts were made in attempt to get those not treating the posts in such a manner TO recognize what the points were and why they were important. Five years out, my views remain rock solid. The argument is that something “discovered” was not new in the world, but something not yet known to people in the world, as opposed to invention, which was something new in the world and so not possible to have been known to people in the world. “Discovery” in the vernacular is newly known information about something in the world. My view is that the act of 1952 is silent on both the nature of discovery, and the nature of information in relationship to the four allowable kinds of inventions. Whatever your view is, you don’t seem able to articulate it in a discoverable way. Yet again, your lack of understanding does not make my comment to be gibberish. It merely reflects that YOU lack understanding. This is exactly like your error with 35 USC 100(b). It weird the way people make these proclamations as if by saying it there is some law that they are using as authority, but they never state the law or justification. They just make proclamations. BYM, read this, and tell me why it’s unworkable. Sadly, the Mental Steps Doctrine is an area of patent law that has seen a recent Zombie Re-animation attempt that falls short of understanding the technical nature of modern computing machines (and lacks understanding of one of my favorite words: anthropomorphication). I have called for academics*** to set the understanding of this area back on its proper tracks, to no avail. *** I could do this, but those most in need of this understanding would simply reject what I say because I would be the one saying it. The technical nature of modern computing machines has jack-all to do with stock quotes, house prices, store coupons, ladies night, online bingo, or virtually anything else that people consume. If the nature of the information is the source of its utility, rather than the nature of mechanistic, non-humanly meaning processing, it should be nowhere near the patent system. Go ahead and set this (mis? )understanding on some kind of track. How long could it take? Your inability to understand the patent context of Utility runs rampant. Sorry Marty, but you continue to want to wage war on a terrain that you just don’t bother to understand. True that. You can thank Justice Stevens for that nonsense, which was reanimated decades ago in Flook. That said, there is a position that a claim should not be able to read on actual mental steps of an actual human, which I agree with. Besides, how does one get the necessary evidence to prove infringement. And just as you point out (how does one prove infringement), THAT too indicates that such a claim does NOT reach the proper Utility sense of being within the Useful Arts (claims of pure thinking are not in the Useful Arts). Very Serious Person Bud: how does one get the necessary evidence to prove infringement. You could ask the person directly “what you were thinking” while they are under oath. Or you record them discussing their thought process. Or you observe them and infer. Just a few of many possibilities. Determining what a person was thinking is something that judges and jurors do routinely. Most attorneys are aware of this. Of course, pretending that one was born yesterday is something that certain patent attorneys do routinely. What was Bud thinking when he typed out his comment? Perhaps he wasn’t thinking at all. That would explain a lot. Ah, very interesting. So, Bud, what about if there is a prior art physical transformation in the claimed process (e.g., “drinking a glass of milk”), in addition to the “actual mental step”? In that case, the claim “reads on” the mental step in that prior art context. Presumably you have a problem with that also. If not, I’d love to hear your thoughtful, reasoned explanation as to why that kind of claim is somehow “okay” but a process claim reciting a mental step but which doesn’t recite a prior art context is not okay. You can be the very first person on earth to provide that explanation (many have been asked). Good luck. I’ve already addressed that issue. Does anyone in real life take anything you ever say seriously? You have the likes of “upvote” Ben, “never met a confirmation bias I didn’t like” Random, and the plain “I don’t care about actual patent law or innovation history” Marty each of which exemplify types of people only too willing to quaff down the propaganda Kool-Aid that Malcolm peddles. Bud I’ve already addressed that issue. No you didn’t. You avoided addressing the issue by pretending that it’s not an issue at all. Golly, Bud, I’m shocked — shocked, I tell you! — that you turned out to be l y in g hack. Nobody could have predicted that from an alleged “patent attorney” trying to peddle a claim to a method of putting real estate price estimates on a map. I’d love to hear your thoughtful, reasoned explanation as to why that kind of claim [i.e., a claim that recites a prior art physical transformation in the claimed process (e.g., “drinking a glass of milk”) in addition to a mental step)] is somehow “okay” but a process claim reciting a mental step but which doesn’t recite a prior art context is not okay. What’s a “modern” computing machine and who decided that? Once a machine is invented that is capable of receiving instructions for applying logic and math to data and carrying them out (and indeed, that is the machine’s entire purpose), why should those instructions which were certainly not eligible before suddenly be deemed “technical” and eligible for patenting, even when claimed in functional terms (especially when claimed in functional terms) that are divorced from the “technical” features of the machine (e.g., the circuitry)? If a human were to carry the processes they wouldn’t be eligible. Even if a pen and paper or a calculator were used the logical processes applied to the data wouldn’t be eligible. So why does “programmable computer” change everything, and who decided that? Look at it another way: if a completely different machine for “computing” (i.e., applying math and logic to data) is invented, does everything become new all over again? Let’s call the new computing machine a flibberflabber. Do we go through this whole process again of patenting logic for, e.g., managing a sweepstakes or a bingo game “on a flibberflabber”? Because “technically” the flibberflabber is sooooo different from all the programmable computers that came before (as all the flibberflabber experts will screech on the comment boards)? Serious questions. Some of you guys have spent so much time in windowless rooms crying to each other about how difficult is to patent your j u n k that you seem completely unaware that you are dancing on pins. In pink tutus. Asked and answered – MANY times now. This is nothing but you pretending that the exceptions to the judicial doctrine of printed matter do not exist. Do you need (yet again) the Simple Set Theory explication? Or maybe, some kindergartner to hold your hand and explain it to you…? Thanks for taking a look BYM. Glad to see no cardinal objections in principal. It would render your patent above ineligible. First, I only commented on a narrow position of the mental steps doctrine, which varies wildly. Human thought is a process, but in my position a protected process. With this in mind I’ve apparently misinterpreted your other language, because your eligibility position (now made apparent) is problematic. Specifically, your apparent position would make all patents directed to cell phones, televisions, word processing, games, audio processing, encryption, etc. ineligible b/c the end product is information for a human to consume. Is a cell-phone a method? No. End of inquiry. Is a television a method? No. End of inquiry. Is a word-processor a method? It may be. Is the result of the method information only? Yes. Does the utility arise from consumption of that information by a person? Depends on the claim. Does the utility arise by consumption of that information by a person? No. Encryption algorithms are not intelligible to human beings. They are consumed by processors. Eligible. My position ONLY applied to methods, and ONLY methods that result only in information. Is a machine that produces AVMs a method. No, it is not, and yet you declares the machine claim patent ineligible under your human consumption theory. Pick a position and stick with it. Taking both sides of an argument in order to make a smarmy (but incorrect) point only makes you look intellectually weak. Is a machine that produces AVMs a method. No it is not, and yet you declare such a machine-based claim patent ineligible. But if you claim the machine in terms of the method it carries out, then there’s no distinction to made here, Bud. You’re not a very intelligent person, are you? Either that or you are used to spewing your silliness in a venue where people just eat it up without question. Or both. The execution of software is not software. You are simply not understanding what a Person Having Ordinary Skill In The Art understand. Clearly, your feelings are getting in the way. Actually there still is. A functionally claimed machine is still a machine. The machine does not generate AVM’s. The machine generates character strings. Are you claiming a new or improved machine for generating character strings? The proposition that new software on a general purpose computer makes a new machine has been essentially legally settled as a nullity, and will not be undone. The act of interpreting character strings as AVM’s is clearly a process, even if you draft that act as a system claim. You are absolutely wrong in regards to both the reality (factual nature) and legality (how the law is to be applied) in regards to the holding of In re Alappat. Haven’t you been paying attention? At least twice recently I provided direct quotes from Director Iancu reinforcing Alappat. Read an opinion of an actual judge who handles “scores” of 101 cases @ 14.3 above. Director Iancu can think whatever he wishes: those with the power to make or interpret law have spoken clearly: new software does not make a new general purpose computer. It’s not debatable until Alice is overturned. 14.3 above contains clear legal error. …and by the way, you are falling to the trap of the broken scoreboard. This too is part and parcel of what Director Iancu has explicitly stated – read the actual new 101 examination guidelines as published in the Federal Register. Do more than just apply confirmation bias to what you want to see. BYM, you do turn a little charming when actually challenged on your own unfounded dogma. “The machine does not generate AVM’s. The machine generates character strings” is a statement of plain fact. A computer processes character strings. That which makes them AVM’s does not happen in the computer. S.I. Hayakawa, in his book Language in Thought and Action, described what he called the ladder of abstraction. The ladder of abstraction is used to illustrate how language and reasoning evolves from concrete to abstract. The very most abstract thing in that example ladder? The concept of wealth…i.e. what an AVM actually is. Claim a machine that processes character strings more efficiently? By all means. Claim a process where AVM’s are used by a non-human intelligence (and are therefore non-abstract, because machines cannot host abstractions) to help accomplish some new and useful result (maybe like allocating construction materials into a job) and I could see a potentially eligible claim. Likely obvious but at least passing a reasonable reading of Section 101. Telling people what their houses are worth using a map and a totally generic tech stack? Look in the mirror for credibility problems. “Ladders of abstraction” has a meaning as a term of art in patent law. If you mean I don’t rage like an idiot, I try not to. As to “unfounded dogma” why don’t you challenge my arguments based on actual law, rather than your preferences? Start with statutory language as is customary in such arguments. So you didn’t actually read the paper, you just looked at the abstract. If you had, you would have seen a full treatment of Bilski and how my proposed eligibility doctrine works within that opinion. Bilski explicitly refused to define “Process”, but said whatever the definition may be, it did not require the MoT test. It also said that Process could not be any human activity either. The case was a useless punt, as we all know, which led directly to Alice. Why don’t you spend 15 minutes to read it so you don’t spout off with instantly refutable riff that I seek to avoid patenting TV’s and Cell Phones? BYM, not even close? Really ? That is a tautology. A punt. An utterly useless “test”. Do you alone have some way to make useful sense of that? Maybe the Supreme Court will agree. I highly doubt it. Really. Take a class or two on statutory construction, then comment. You’re like this angry girl I once knew who never took a law class in her life yet was convinced she knew more about the law than any room of lawyers. Maybe you’re a PERL programmer. Laugh away. Anyone reading this knows I’m referring generically to any sequence of homogeneously typed data. Oh you wrote some code in your time? I’ve been an exec in the software biz for 25 years. What makes your AVM an AVM does not happen in the computer. The computer does not give a flying eff about the value of a house v. the value of a bag of Fritos. It’s designed to process strings and that’s what it does. The idea that it’s a new machine because somebody reads the output for a different purpose is pure sophistry. Good luck putting that by even the dimmest judge. There is no statutory language other than 100(b) that bears on what a Process may encompass, and that section is useless because it’s a tautology. There is unsettled controversy that is political and philosophical, and your position both ways is a bigger dead end than mine, since yours has been dismantled in a hundreds of appellate cases and mine is not even out of the gate. Yours is not even IN the gate as you refuse to understand the terrain that you are in. Again, you blather “tautology,” and refuse to open your eyes. Your views are untethered here, made up whole cloth. Software biz for 25 years – and with a (now not so recent) altercation that has colored your views and drowned out your reason. You have your Ends, and you do not even understand the Means of the game, and refuse to hear what those who do understand the Means have to tell you. Marty, because you have no understanding of the rules of statutory construction, I can see why you’re confused. When it comes to “process” under s100(b) the drafters wished to expand the meaning of the term beyond it’s ordinary and contemporary meaning while being inclusive of old patent eligible subject matter. I suggest that you read Bilski, where the SCOTUS discussed s100(b) in terms of the rules of statutory construction, rather than continue to argue out of ignorance and continually embarrass yourself. So says the alleged “patent attorney” as he ignores decades of Supreme Court precedent on the meaning of the statute in question. Oh but wait! The Supreme Court didn’t follow Bud’s Rules, says Bud. He’s a very serious person. Never mind that the Supreme Court itself contradicts itself (oh wait, there is no contradiction when you ignore the half that is in contradiction ). So instead of making another one of your vacuous attacks, why don’t you explain how the courts require invention and improvement in order to satisfy patent eligibility based on the statutory language in s101. At first blush, one may be tempted to note that Congress explicitly provided FOR patent eligibility in 35 USC for “and any improvment thereof” (of an item within a statutory category). One has to remember the actual history (and yes, context) of the Act of 1952 and the removal of Common Law law writing from the Court of all the variants of “Gist of the Invention” and instead, Congress opting to chop up the former single paragraph into the different sections of law of 101/102/103. So the nuance here is calling out the Court for going “off the reservation,” and attempting to hold that same Court to its proffered rationale and concern (pre-emption) — which is actually quite silly, because ALL claims preempt – that is what claims do! For the Court’s “authority” to even begin to be proper, the case would have to be made that a claim in question DOES NOW do what the Court merely suggests “MAY” happen. This line of reasoning reveals that the Court is legislating from the Bench in writing (NOT interpreting) the law and inserting its own policies. If you’re arguing that 60+ years of eligibility jurisprudence needs to get obliterated then you should be prepared to explain why Congress decided to make mental processes, methods of communicating non-obvious information and logic eligible for patent protection without ever discussing that they were doing that. Not that your “argument” (using the term loosely) is going to ever succeed, of course. It won’t. The only reason to bother imagining it is to imagine the blowback against the Supreme Court and the patent system which will be so swift and so severe it will make the AIA look like a patent maximalist party. Your “internet tough guy” is sooo charming. Ooooh, blowback from those legislating from the bench…. We already know that patent claims can tie up the fundamental building blocks. Noting that a disaster is being averted does not mean that a genuine instant controversy does not exist. You and Bud got schooled here. It was fun! Now go back to Big Jeans place and lick your wounds for a couple decades. Your notion of “schooled” is hilarious. It matches that “Legend in your own mind” thing that you have going on. The Constitutional and policy consideration underlying eligibility is to prevent restrictions on the public’s freedom to use basic/fundamental building blocks of knowledge in any context. Those fundamental building blocks include logic and information. Some patentees have attempted to argue that their claims are so narrowly limited to a particular prior art context such that (so the argument goes) “there is no pre-emption problem.” But that misses the entire point and the CAFC has at least several times made this crystal clear: once it’s established that an abstraction is being protected in any prior art (whether anticipated or obvious) context, then you have an illegal pre-emption. Period. Do not pass go. Note again that the concern is not about the “pre-emption” that is brought about by a particular ineligible claim. The concern is that if the doors are open to the patenting of logic and information in “this context” or “that context”, the gates will be stormed and “stakeholders” in a myriad different contexts will attempt to claim logic and information in all those contexts, separately. That is the problem and the proper application (sweeping and non-judgmental with regards to context) of 101, per Mayo and Alice, is the solution. This complaint is a lot of sound and fury signifying nothing. mere ten years. Pet.App. 94a. The specification does not mention the word latency. Nor did Applicant invent preprocessing. Nor is there any technical teaching for performing preprocessing. So no, the invention does not improve a computer. Take, for example, Mayo v. Prometheus. Under KSR Int’l Co. v. Teleflex it is purely obvious as an issue of common sense to administer any medicinal drug within a range that produces beneficial results but doesn’t kill. This is, as the late Ned would point out – assuming that the natural fact is in the prior art and then asking what is obvious in light of that. Regardless, Sequenom is now obvious, as are most bio/chem patents I would assume. Similarly, Alice Corp. should have been decided using § 103 under the theory that merely automating a known or obvious process is obvious. MM, is that you? Where’s anon at? Virtually all computer patents are obvious under this logic. In any event, this brief evidences how important it is for the PTAB to not ignore valid WD rejections and for examiners to get 103 correct. It’s pretty clear that the claims are, in fact, obvious, and should, under Alice, be ineligible, but when you do a bad job you get things like this. It’s pretty clear that the claims are, in fact, obvious, and should, under Alice, be ineligible. Yet there was an express holding that the claims were not obvious. Can you clarify your obviousness position? Yet there was an express holding that the claims were not obvious. Protip – there’s NEVER an express holding that the claims are not obvious, as one cannot possibly have seen all of the possible prior art. There was, as there can only be, an express holding that *the particular references put forward* by the examiner were insufficient to support a his reasoning in the rejection of obviousness. The claims claim priority to 2004. Mapquest was sold to AOL in 2000, so online mapping and display existed at least that far back, and I’m sure much further if I bothered to actually research it – the Web Mapping Wikipedia link has a timeline that begins in 1993 so I wouldn’t be concerned about that. Applicant admits he didn’t invent AVM, so no issue there. The only feature remaining that requires any kind of thought is performing the calculation prior to a request in order to speed up the response time. That’s probably obvious over just a teaching of the calculation, but I’m sure one could find a reference to anticipate the feature anyway. The claims are obvious because Applicant admits that one could calculate an AVM for a building prior to the instant invention, the art was previously capable of displaying maps with buildings, and it would have been obvious to put the calculated number next to the building in order to allow a user to quickly associate the number with the building. It would be obvious to calculate the value beforehand in order to decrease the wait time for a user who may inquire about the building. The claims are ineligible largely along the same lines – Applicant’s own argument is that the art distinguishes AVM and appraisals, which means the art finds AVM as a useful tool that performs a function that appraisals do not, and therefore it is a fundamental act in the field. Associating a quality for a building alongside the building on a map is a conventional manner of associating data. Doing it on a computer is not a significant limitation. The argument that the claims improve a computer is not colorable. The “invention” is using the superior calculation speed of a computer in order to calculate and present numbers more quickly, which is precisely the alleged invention in Alice. Funny that, as it is also precisely the alleged type of invention in Diehr. Screaming “conflation,” one really has to wonder what the F you are doing being an Examiner. It’s pretty clear that the claims are, in fact, obvious, and should, under Alice, be ineligible, but when you do a bad job you get things like this. Indeed, these claims are both incredibly obvious and ineligible. What went wrong? Who knows but if there is any justice these miserable claims will never be resurrected. The first critical point to remember is that, when performing an eligibility analysis, the issue of “conventionality” is nothing more than shorthand for the following question: If we set the ineligible abstractions (i.e., information and logic) aside, is there non-obvious objective physical structure (or a non-obvious transformation of matter) recited in the claim? The point being that if there is non-obvious physical structure in the claim, then the eligibility issue in most computer-related claims disappears. Why is that the case? Because the claim is no longer protecting the use of logic or information in a prior art context (remember: preventing that circumstance (also known as “pre-emption” – see my comment at 5) from arising is the entire point of eligibility). What’s fascinating to me is that some actual patent attorneys find themselves motivated to defend claims like these. The only way to go about that when confronted with reality is to play the worst kinds of born-yesterday dust-kicking rhetorical games, which is exactly what guys like Bud Mathis do. Heck, it’s pretty much all they do. How do you get to obvious? The PTAB expressly held that five separate limitations were not in the prior art. Are you aware of art the Examiner, the PTAB, and I are not? As to ineligible, where is your evidence that a single claim limitation is well-understood, routine, and conventional? The Examiner didn’t address the issue, the PTAB passed on the issue, and the CAFC refused to address the issue. Not a single CAFC judge made such an assertion during oral argument or in the published opinion. I’m not trying to be argumentative. I merely want some challenging arguments from someone who, as with many judges, is self-assured of their omniscience. I’ll patiently wait for an answer. As to ineligible, where is your evidence that a single claim limitation is well-understood, routine, and conventional? A specification must enable the claim. The shortcut that the specification itself doesn’t have to enable something is when it is so well-understood that it need not be disclosed in detail. The specification provides no technical teachings at all. So I suppose one could look at it as if the entire claim is unenabled, and that would be one conclusion. Conversely, one would conclude that the claim is enabled, but only because features such as displaying a map of buildings on a computer was already well-understood in the art, which is why merely mentioning it fulfilled the enablement requirement. I do agree with you that the specification is not proof of conventionality – it may simply be proof of unenablement – but neither conclusion is helpful for the applicant. In fact, a viable remand from the Supreme Court might include a command to consider the unconventionality argument as estoppel and to revisit the enablement issue. BYM, I hope your clients win, but I’m pessimistic about their chances. Glad to see you learned quickly not to engage Mooney. He’s a paid anti-patent $h!ill. I would posit that a total non-engagement with Malcolm is not a good thing. If you don’t contest his C R P, then all the mentally-challenged minions start running with that propaganda and the inanity only multiplies. As far as obviousness: Tax assessors have been making these maps for years. 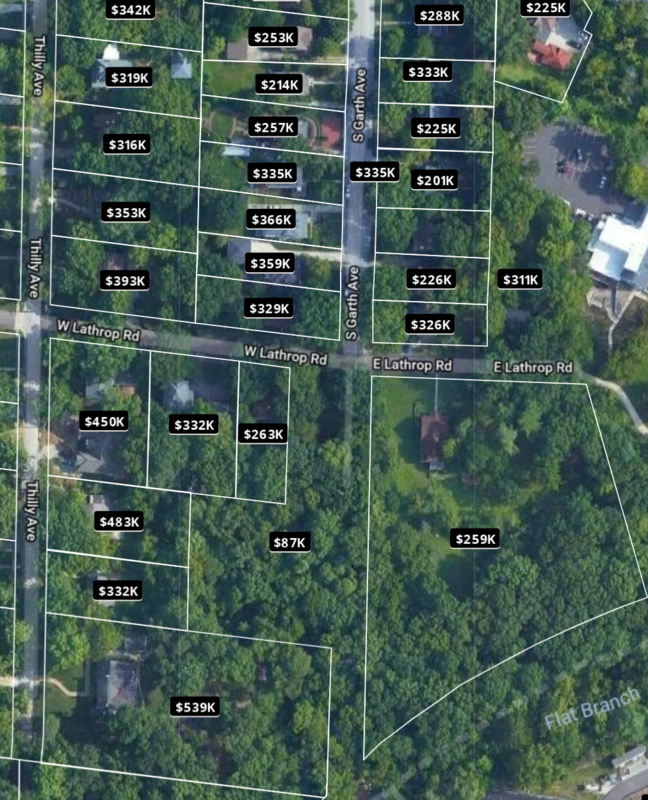 In 1985 I could go into a tax assessors office, tell the secretary a neighborhood, and she would display a map with “pre-processed” (by the tax assessor) valuation methods. By 2004, it was known that computers could be used to replace functions carried out by human secretaries. There you go, obvious. If all those limitations in claim 57 are new and were not known in the art, then that necessarily means there were NO “computers configured to” perform those limitations in the art at the time. Which means claiming “a computer configured to” perform those limitations should be 112(f), since, at the time of filing, a “computer” was not a structure known to one in the art at the time that performed the recited function. It also means that enablement should be looked at very closely, since “It is the specification, not the knowledge of one skilled in the art, that must supply the novel aspects of an invention in order to constitute adequate enablement.” If those limitations are novel, then the specification themselves must enable each one of them. How much you want to bet they are relying on “OOSA would have known how to do these things” for enablement? BYM: I’ll note that, at least Boston, had computerized its tax assessor’s office well before 2004 and allowed people look up tax assessor data online. I look forward to seeing this and other tax assessor’s websites on the next IDS you submit. ““One of the most effective ways to enhance the benefits of a GIS parcel base is to incorporate data bases, such as tax assessment data, which are readily available at the municipal or county levels. While the proximity relationships of pure graphical features support a variety of GIS applications, the uses of a GIS enterprise are greatly enhanced by supporting graphical features with [this type of] attribute data.” (Rehmann 1999, 1). between the information and the support. “This allows for spatial cross-analyses of various urban dimensions, which adds substantially to the already great potential of straightforward statistical tools (Rosiers 1992, 30). Starts at Page 53, goes on for a whole chapter. Good references in there too, could fill a full IDS. Great luck in court. I’ve already addressed CASA thank you. The Examiner lost on the issue. Also, note that appraisals/assessments are not AVMs and are not fungible. You could not be more wrong, nor more trite or transparent in your ploy here, Malcolm. You also evidence (yet again) your LACK of ability to properly set a legal issue. Conventionality has ZERO to do with your attempt to impose an optional claim format (objective physical structure… – again?) as somehow NOT being optional. You compound this with an attempt to parse claims (yet again) with your “and set aside” B$. What part of “claim as a whole” do you loathe so much that you are so willing to paint yourself in such bad light in your constant efforts to misstate the law? Whether or not the claims are obvious is NOT the point (nor the issue) here. Yes, there could be a remand based on changing THAT aspect of the case, but the proper legal issue here is that the state of the claims – as being accepted by BOTH sides is that the claims are NEITHER anticipated nor obvious. THAT is a critical starting point to remember. Whining that the claims ARE either anticipated or obvious is nothing more than a red herring at this point, a distraction from the different legal point of eligibility. What is abundantly clear is that having made the admission that the claims are NOT anticipated, nor obvious, the agency (and the courts) cannot possible — as a matter of law — provide the higher level of showing of conventionality. Remember, conventionality requires a showing to a level more than what is required to show either anticipation or obviousness; requires a showing of widespread adoption and practice. For you (and Random), let me point both of you to my post below at 5.4 and the words of Director Iancu showing BOTH a grasp of the Kondrateiv Fifth Wave and the application of the holding of In re Alappat. Let me know when you are willing to be inte11ectually honest and discuss the points long provided to you. But the scoreboard IS broken given the dichotomy presented. Both you and Malcolm are whining up a storm here, but the bottom line remains the same: here, 102, 103, and 112 are given to be truly satisfied (arguments otherwise are waived). All that you have is 101. The case below for that 101 is simply not properly made. That being said, best of luck to anyone trying to get the Court to admit that they F’ed up. The other blade for the Kavanaugh Scissors should also be brought to bear: California Franchise Tax Board v. Hyatt (oral arguments). I lol’ed when I caught this. Nobody is arguing that a machine that automates a task is necessarily ineligible. You do realize that you state one thing and then immediately contradict yourself, eh? This is because you have never grasped the inevitable result of the Grand Hall Experiment, and that you refuse to be inte11ectually honest in regards to the exceptions to the judicial doctrine of printed matter when it comes to the patent equivalency of “wares” in computing innovation. Your “issue” is nothing more than you trying to impose your scripted Ends, no matter the means. You misread what I stated. My point is that generic automation is likely obvious under KSR. If there was nothing new in Alice but the use of a computer to perform a known process then there is an obviousness argument. Perhaps there is some miscommunication going on here, and I will provide that there MAY BE an obviousness argument, but will distinguish against ANY type of “obviousness per se” when it comes to automation. I do consider the Leapfrog decision, but would posit that THAT decision does not create the “per se” condition that is being bandied about. See also my post at 5.4 (which echoes the direct words of Director Iancu). Absolutely. KSR and Leapfrog aren’t that obnoxiously oppressive. I merely state that many computer-based claims could be destroyed under KRS and/or Leapfrog. Diehr, for example, should have been held obvious under 3-4 prior art references. FYI, by generic I mean like with zero details. Check In re Venner, which is an idiotic decision on automation. Bud knows well of what he speaks. SCOTUS needs to do the right thing here and answer these questions … and give the Villena’s the patent they have so well earned and deserved. America can’t afford any more of this 101 baloney. He admits he didn’t invent AVM, and he’s not the first person to display a map on a computer, so no he’s not being robbed by anyone. Hint – the lack of any technical disclosure in the specification is a dead giveaway. Even if he did, calculating a value and giving the value a name isn’t “inventing”. It’s math. It doesn’t matter how important the value is, and it doesn’t matter how clever the name is. “Pre-calculating” a value is also not inventing. Displaying pre-calculated values is also not inventing. Maybe Bud will be along to tell everyone why the recitation of “real estate information” changes everything. Do numbers become more difficult to multiply or add when they are “associated” with a piece of property? That’s not how my calculator works. Maybe Bud is some kind of super computer expert and he can explain what happens to data when the computer discovers that it’s real estate data. Or data relating to bingo games. This is very serious highly technical stuff, after all. The claims at issue were considered not anticipated and not obvious, and it is indisputable that the claims qualify as a machine or a process under s101. No one disputes that the claims satisfy the language of s101. Not the USPTO and not the CAFC. Thus, the claims satisfy s101, s102, and s103. Perhaps you can enlighten me as to why the claims fail to satisfy the wording of s101 when the USPTO and CAFC couldn’t, or why the claims constitute an exception to s101 under Alice/Mayo. Supply all necessary evidence and Supreme Court citations. I have BS in EE and math, an MSEE specializing in adaptive signal processing, and did my Master’s thesis on non-algorithmic processing using a modified Kohonen ANN. This doesn’t make me a “super computer expert,” but I’d be overjoyed to know your computer qualifications. Bud, you are tr olling exactly as I predicted you would. We aren’t discussing what the court found. I could care less. What’s happening here is these claims are being obliterated in real time. They are worthless and you are joining them. My qualifications for mocking these claims — and you — is that I’m a professional patent attorney who wasn’t born yesterday. And I’ve seen all your rhetorical games before. They don’t work here. They won’t work at the Supreme Court. Your non-answer is b0r1ingly predictable, Malcolm. You raised a point concerning technical background that was explicitly answered and then directly put to you. Answer the direct point, please. MM is a person who puts down other people whenever possible due to some false sense of intellectual superiority. He also lacks the honesty to answer legitimate questions put to him. He argues like a petulant child. Please apologize to petulant children everywhere. John Diehr didn’t invent the Ahrenius equation, computers, or rubber curing. What exactly is your point? Diehr’s invention was not as simple as “Display the result of calculating the Arhenius equation on a computer-drawn map”, which is what this invention is. Also, relevant to – you know – the law, Diehr’s argument was that he invented a new sensor system that was capable of constantly measuring the temperature, and once he had that sensor system he could apply the well-known Arhenius equation. The invention was *the sensor system* and the fact that once you had the sensor system the equation did not defeat the claim (i.e. the invention wasn’t “directed to” the calculation). Here it’s clear the invention is directed to the calculation and, unlike in Diehr, there is no colorable argument that there is some other kind of invention. The argument advanced here is that he improves latency, which the specification does not even mention because the argument is made up entirely post-hoc, and the manner in which it improves latency (pre-calculating before the request for the calculation comes in) would be obvious over the admitted prior art of the calculation anyway. I bet if this guy was arguing Alice he’d have been very upset with the Supreme Court that there was no fact finding that computers are conventional prior to them disposing of the claims. All Diehr did was to code the Ahrenius equation onto a computer in real-time form. The the time Diehr filed his patent application, there were three other patented devices that did the exact same thing – two with dedicated DTL/TTL logic and one using an analog computing approach. Today Diehr’s claims would be rejected under LeapFrog. This is factually incorrect, and your ignorance of the Deihr claims marks you. BTW, thermocouples preceded Diehr by about 160 years. On this note, I’ll walk away from this thread. You people are ignorant of the legal basics and argue like children. Gould 3,718,721 entitled “Method for controlling the state of cure of curable articles” discloses an invention comprising a method for controlling curing state. Gould uses a combination of a digital computer with an analog computer. Before digital computers became so fast, analog computers were often employed in situations where it was needed rapidly to solve a problem or to make a determination. Thus, while Gould ‘721 seems to anticipate Diehr ‘142, it does not, because the two technologies are very different, and at the time many doubted whether digital control of the molding process could be fast enough. See U.S. Patent No. 4,022,555 to Smith, U.S. Patent No. 3,819,915 to Smith, and U.S. Patent No. 4,044,600 to Claxton. All three do the exact same thing as Diehr using dedicated hardware. I was unaware of Gould. Excellent catch. In the 1970s and early 1980s, digital integrators were a problem. It was common to offload an integrator using a D/A, an Op-Amp circuit, and an A/D. I did it myself once to change a type 0 control loop to a type 1 control loop while using an 8MHz 8086 processor. The TM320 series DSPs cured me of that problem. Actually, I’d concede that point but argue that it was not relevant under the statutory language of s100, which states that a “process” under s101 includes a new process on a known machine. Read the statutes. There’s a lot of good law in the statutes. You are so correct in your statement that all claims pre-empt. Benson was decided in part b/c the BCD/binary conversion claim would preempt the equation b/c the only use was in computers. Now consider a new and improved tire tread design that handles wet roads better. The only use of such a tread design would be for tires, and allowing such a tire-tread claim would preempt the tread design for all possible uses. According to the SCOTUS, all tire tread claims are patent ineligible. I now concede that you’re right – the SCOTUS is more to blame than the CAFC for this s101 mess. I retract my years-long position and now agree with you. Are you reading this? If so, I repeat that your work on s101 is beyond abysmal. It is a cacophony of nonsense and contradictions. The 1952 act is construed the way it was because to not construed it in a limited manner would violate the constitution. It is clear that the thing that cannot happen is Morse, where the inventor discovers a new law or truth and then simply claims anything that results from the disclosure. In other words, if Congress were to turn around and rewrite the statute (which, tellingly, they have not done) to specifically allow for a Morse or an Alice type claim, the Court would have to strike down that 101 on constitutional grounds. Instead, the court construes the statute, as it always does, in a constitutional manner if the language so allows. Perhaps they should have just struck down the 1952 101 statute, but I hardly think that would solve any more issues than the current scheme, as inventors would still flounder while they wait to see what the delineations of eligible subject matter are. That’s a strawman. NO ONE has set any pro-patent argument with a foundation of unfettered power. There are but two (LOW) hurdles reflected in 35 USC 101. The innovation must be stated (by the applicant) to be in at least one of the Statutory Categories. The innovation must provide utility within the Useful Arts. The SCOTUS didn’t construe s101; they completely re-wrote it based on their belief that they are allowed to legislate from the bench. Your last couple of comments are exactly correct. Furthermore, on that other blog, there has been a very detailed exposition on the action of the Court as pertains Constitutionality (if Random were really interested in the application of Constitutional Law to what has been going on with the “scoreboard” – as opposed to his rather du11 confirmation bias of glomming onto only those things that serve his desired world view. You are just begging for the woodshed with getting Diehr so very wrong yet again. Wasn’t that last smackdown from David Stein enough for you? Is your confirmation bias really that bad, so as to blind you so thoroughly to reality? Then deny the patent on prior art grounds. Oh wait, the CAFC already said it’s NOT anticipated or obvious over the prior art. What a great thing to tell inventors that in the United States, patent eligibility, and therefore patentability, now hinges on a “I know it when I see it” test. Getting rid of this Alice nonsense should be high on the President’s list of things to be done to “Make America Great Again”. Yeah, how CAN a claimed invention be novel and non-obvious but not patent-eligible? SCOTUS, er, the emperor, has no clothes. But the emperor won’t admit that, as we saw in Sequenom. Engaging in conventional drilling at that site. Absolutely it’s eligible under 101. It’s also probably obvious and maybe even anticipated, but it’s eligible. File that at the EPO and you’ll get bounced b/c the prior art, not because the method recited is ineligible. How would it be obvious if the location was previously unknown to contain oil? What motivation would someone have had to drill for oil at a site that was unknown and not-obvious to contain oil? It’s also probably obvious and maybe even anticipated, but it’s eligible. It’s neither obvious nor anticipated. Nobody drilled there before, and there is no motivation to drill there absent the natural fact that was discovered by this applicant. The fact that you conclude it is eligible for patenting shows you don’t understand the purpose of the 101 exception. Congress was not granted the power to control a state’s natural resources, but under your logic they could issue a patent for any length of time short of perpetuity and it would be constitutional. Let’s go a little further – Congress enacted 103 as a statutory requirement, I assume you think Congress could just do away with 103 then? Let’s assume Congress decides it’s going to allow for patenting of anything that is novel. Let’s further assume that that there is no evidence anyone drilled there before. Is the claim patentable? Hey, you tell me that obviousness is so broad that it would have fixed Morse, Sequenom and Mayo, I’ll drop my support for the judicial exceptions right now. Why would I engage in conflation? Random – If this claim contained eligible subject matter, the oil industry would not be hindered in the least. I dare say that it would be good policy to actually have this claim issue and be sold to greenpeace. that way, we could prevent companies from randomly placing exploratory oil wells in areas where there would be no reason to place a well. In fact, this patent furthers the oil industry arts in that it teaches a POSA to only drill where there may be motivation to find oil. how CAN a claimed invention be novel and non-obvious but not patent-eligible? 1. A method comprising drinking a glass of milk and [determining a non-obvious correlation between the chalkiness of the milk and the likelihood of getting kidney cancer before age 95]. That’s a non-obvious claim. It’s also ineligible. We can do this all day long. Drinking a glass of milk is a physical activity. Of course the method is *eligible*. And if you don’t get that, you shouldn’t be writing patent applications (but then we know that you don’t, Mooney, you’ve been a paid shill against patents since this blog first started). These admissions do not help Your Lost Cause. They are wonderful bits of documentary evidence, however, shiwing how some members of the patent bar “think”. That being opposed to the eligibility of a claim to “a method of thinking a particular thought while drinking milk” somehow makes me “anti patent” (?!) is … remarkable. But we live in an age of in sa ne greed where some people will literally do and say anything if they can get their pockets lined. Just FYI, I am the attorney representing Villena. I appreciate your publication of this article, Professor Crouch. It is my belief that the CAFC has long lost any credibility when addressing s101. What personally irked me most was that the USPTO never addressed the claims as a whole, ordered combination, and the CAFC intentionally ignored the issue. The CAFC also passed on the preemption issue, and there was no assertion of preemption by the USPTO or the CAFC. This lawlessness by the CAFC should not be allowed to continue. An amicus would be most welcome. Pre-calculating a number is ineligible. There’s nothing else in the claim except prior art tech. So there’s your pre-emption. And yes the whole claim was considered as an ordered combination. Parsing a claim (NOT taking it as a whole, making your eligiblity statements about individual parsed elements, and then turning around and declaring “And yes the whole claim was considered as an ordered combination” just does not make it so. The plain fact of the matter (hint: Big Box of Protons, Neutrons and Electrons) is that perfectly eligible (and novel, and non-obvious, and fully supported) claims happen all the time comprised entirely of that “nothing else but old” stuff. I have pointed this out to you like forever that your “argument” is a fallacy precisely because your position does not account for this fact. All that you have ever done with this point on the table for discussion is to figuratively run away. Looks like he briefly raises the Henry Schein case. Have other cert. petitions raised it or is this the first?